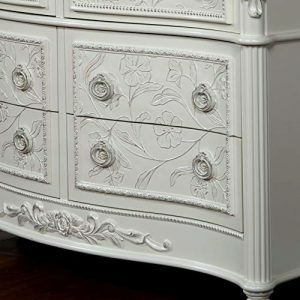 The Raegan Dresser features lavish floral carved design and elegant brushed gold accents. 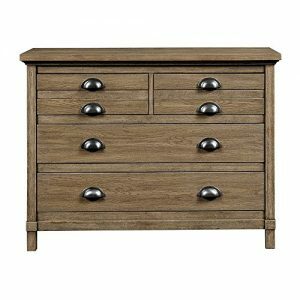 Its unique felt-lined drawer provides ample room to store delicate pieces while its generous storage drawers with round handles ensures spacious room to organize. 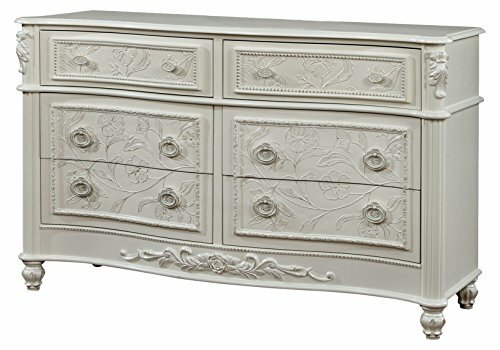 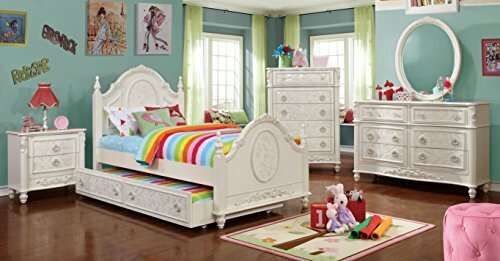 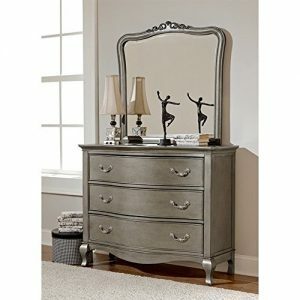 Distinguished by its sophisticated Off-White finish, the Raegan Dresser creates a cheery and lavish bedroom style.